Asus confirms the release of the Zenfone 4 in the Philippines. Asus Zenfone 4 looms in the horizon with a plausible release this month. A year ago we have witnessed the release of the Zenfone 3 series in the Philippines; and after a considerable amount of time, the Asus Zenfone 4 might break the ice this month. In fact Asus confirms that the heavily-lauded smartphone is indeed coming to the country. So what are we expecting to the highly anticipated launch? Expect to have not only one but more Zenfone 4 variants to hit the Philippines this month. 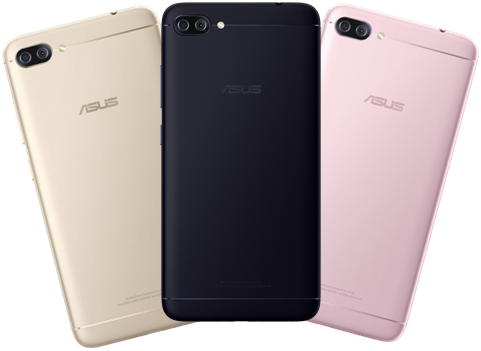 Weeks ago, the Asus Zenfone 4 Max, dubbed as the Battery King, was introduced in the international market. It is also expected to debut locally together with other Zenfone 4 smartphones. We also listed the plausible models that might come out in the actual launching. Of course, the camera is Zenfone's marquee feature. With the launch of the Zenfone 4 series, the company is primed on the new era of unprecedented mobile photography. The Zenfone 4 family is expected boast dual-lens camera setup just like the fan-favorite, Asus Zenfone 3 Zoom. In fact, Asus is also bringing the Zenfone Photography Awards this year with the "Zen in your EYEs" theme. Also, fifteen (15) Zenfone Live will also be given away in the "Photogether" contest. Likewise, the Philippines’ top 500 photo entries will be qualified to compete in the Global Championship, where they will get a chance to win up to US$2,000 in cash! Pinoy photographer and Zenfone 3 Zoom Ambassador. When is the Asus Zenfone 4 Philippine launch? As of this writing, Asus PH is not given us the exact date yet. But out gut tells us that it could be in the the second or third week of the August. Brace yourselves with the arrival of the Asus Zenfone 4 Series.